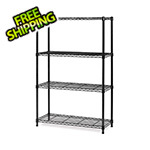 Organize your home or office with the Seville Classics Home-Style 5-Shelf UltraZinc Wire Shelving System. 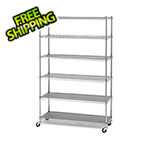 This 5-tier wire shelving system can hold up to 50 lbs. per shelf when evenly distributed. 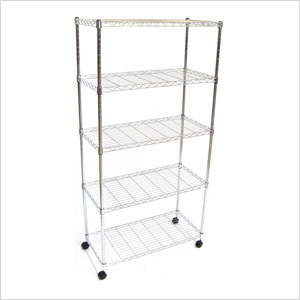 Each shelf is adjustable at one-inch intervals and can interlock with multiple, similar-sized Seville Classic Home-style branded shelving for your convenience.